Having a flat tire can cause a lot of road problems. No matter how expert or novice you are in driving, such situation can take place if you are not being cautious with your vehicle. 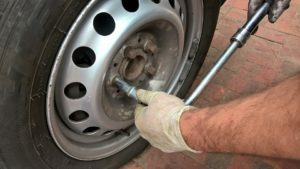 So to help you avoid road hazards, particularly flat tires, here are some helpful tips that you should remember. Always check the tire pressure. Underinflated and overinflated tires are the most common causes of blowouts and flat tires. Basically, when tires have too little air pressure, it causes an increased friction which results to excessive heating and blowout. On the other hand, when tires have too much air pressure, these will be susceptible to damage from bumpy roads and potholes. Therefore, it is very important to check the tire pressure at least once a month. To do this, you can use an air pressure gauge or you can seek help from the experts. Do not forget to check the recommended tire pressure of your vehicle manufacturer. Inspecting the tire treads is necessary to avoid flat tires or blowouts. Worn treads can put you at risk so take some time to check the wear bars. If you notice that these bars are of the same level with the treads, you have to replace your tires. If you also notice some uneven wear patterns in your tire, consider seeking a professional help. Excessive wear on the side or center of the tires can be caused by under inflation. According to the National Highway Traffic Safety Administration, tires have to be rotated at 5,000-mile intervals. You can also have this performed during oil change. As much as possible, avoid driving on roads that are not well maintained or those that are under construction. Sharp rocks, potholes, metal shards, glass, and nails can easily puncture the tires. Choose the road where you are travelling, and also avoid driving on the side of the road or highway. Such areas often accumulate debris from accidents which can also have sharp rocks or broken glasses. Each tire has a maximum load rating placed on the center of the tire’s sidewall. Do not exceed with the recommended load. Otherwise, tires will be subject to heat and friction which will cause it to blowout or become flat eventually. Experiencing a flat tire or blowout is often inevitable. To avoid the hassles of replacing flat tires, always have a phone number of a reliable roadside assistance company. Silverline Towing has the most effective and efficient services for flat tires. 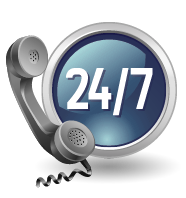 With 24/7 availability and 30 minutes expected time of arrival, our company can help replace your flat tires without delays. We can serve all kinds of tire manufacturers and we have several roadside assistance technicians who are knowledgeable and highly skilled. Just let us know what you need and where you are so we can help you get back on the road as soon as possible.